The fig tree has been around since the beginning of time. For those skeptics, archeologists have found evidence of its cultivation that dates back to 5,000 BC. Fig trees can grow almost anywhere and can produce fruit whether they are planted in the ground or in a container. The ancient Hebrews looked upon the fig tree as a symbol of peace and plenty. It is mentioned over fifty times in scripture, making it one of the most mentioned tree by name. God compared mankind to trees in numerous verses and used the fig tree in many analogies and parables. So while I would like to look upon myself as a “Steel Magnolia,” tall, strong, ornate and evergreen; the fact of the matter is, I’m a squatty fig tree, who has gone through a series of actions to make me more fruitful and remain useful. Have you ever come to a point in life where you feel empty or stagnate? Do you wonder if you are making a difference? Do you question “If this is all there is?” Are you in need of revitalization?I know I have at different times in my life. A tree continues to grow upwards and outwardly. It will stop being useful if left on its own and not aided along. As I look back on the decades of growth and effectiveness in my spiritual life, I yearn to always FEEL and KNOW that God is using me, that I am still growing, changing and making a difference. In Luke and Matthew the Word talks about the importance of continuing to mature and bare good fruit, to be useful, to live life with a purpose. My family would never have predicted that I would love gardening. We had gardens all of my life to help support our large family. While I wasn’t keen on picking green beans or pulling corn, I didn’t mind it as much as clawing through dirt searching out each and every little spud. When it was time to dig potatoes, my father would shout for all of us to drop what we were doing, come outside and help. I use to hide under my bed hoping that my father would not miss me, since he had so many kids. That never worked. In fact, my delay only got me into trouble. Now that I have matured I have grown to love the process, find it therapeutic and actually am eager to get my hands in the soil each Spring. Over the years, I have planted many gardens and orchards. I love learning about each plant and what it takes to grow at its best capacity.I have learned that not all plants grow well under the same conditions. Some grow best in the shade, some full sun and some a combination of both. Some has to be moved or separated to continue to produce. Having grown fig trees, I have learned there are several reasons why a fig tree will stop producing fruit. Whether we want to admit it or not, we are all fig trees. Water symbolizes Gods Word in many places throughout the Bible. In both Psalms and Ephesians water is a symbol of God's word. Reading the word daily is important not only to be fruitful, but it is a time when God speaks to us the loudest and clearest. Sometimes He speaks through scriptures as we read and at other times He will drop the words we have read back into our minds, at just the right time, to show us the way. My faith didn’t really take off until I started to read God’s Word on a consistent basis. It has grounded and guided me. God’s Word is my foundation. It makes my root system strong. I grew up attending and being baptized in a small-town Southern Baptist church. We weren’t the “every Sunday night/Wednesday night/ anytime the church was open” type family, but my mother did make sure we each attended Sunday school with our peers and were seated in the pew with her on Sunday morning. I was invited to join the church’s puppetry ministry by a friend and found it fun and rewarding throughout my middle and high school years. It kept me active in the church, around other believers and out of trouble. Unfortunately, when I went off to college, I did not seek out a church as I sought out where the local hangouts were.It really didn’t come to mind. I assumed I was assigned to one church and that was back in my hometown. I was nervous and excited about my new independence and busy making new friends. My calendar filled up fast with classes, social events and jobs. A Sunday became just a weekend day. You know, a day off, a day to have fun, a day you get to sleep late and do what I wanted. After college and well into my early married life, a Sunday became no different than a Thursday. It no longer marked the beginning of a week, Monday did. Sundays no longer put my focus and thoughts on spiritual things which makes you examine and correct yourself. It no longer fulfilled an innate need we all have to praise God and to give thanks. So began the expansive hole, a void which grows with every passing day, every passing year if not corrected. I was void from conjugate with other believers and developing relationships with what I call “Church Friends.”Church Friends are different from other friends, even friends who happen to be believers. Many times, I don’t have anything in common with my Church Friends except for the love and belief in Jesus Christ.We run in different circles and have different likes and experiences. But I have learned from experience, the extreme value and necessity in building a relationship with “pollinating people” and surprisingly how we do have like-experiences. During the early 1990’s, financial stresses paired with family conflict and division brought me to my knees and made me long for a place I felt welcomed, a place of comfort. I began to miss having a church family. The foundation, built by my mother, drew me back. God led me to a large, southern Baptist church where each Sunday the pastor always seemed to address exactly what was going on in my life. The weekly singing of hymns and serving of biblical messages strengthen me until that challenging season ended. Attending church feeds the soul, but sitting in a pew does not form relationships. Another seriously, crappy trial came into my life which left me missing and needing the comradery of real people of faith. Not perfect, plastic people, but a unit of those who are aware of their imperfections, strive to do better, be better, share and encourage each other while meeting to study God’s word together. I’ll admit that I felt so awkward and uncomfortable at first when I chose a Sunday School Class for married adults. I had not been in a Sunday School setting since high school. I didn’t know anyone. So, there I sat, Sunday after Sunday, in the back of the class, alone in a couples class, not saying a word and second guessing my decision. My protective walls came down when I was pregnant with my son, Solomon. Upon delivery, the members of my class started showing up at my house each day with their arms loaded with gifts, best wishes and meals. They showered me with love. To my surprise, they had each signed up to provide meals for me and my family for nearly an entire month. Can you believe that? I was floored by their thoughtfulness and generosity. They came through again and again during sickness and storms with a prayer on the lips and a casserole in their hands. The Lord’s Pollinating People will be there in fertilizing times, without asking. Be it fire, flood, earthquake, tornado, wreck, health issue, financial issue, marriage assaults, legal proceedings, they will come together to fulfill your physical, emotional and spiritual needs unlike the longest and closest of friends. It is also rewarding to do the same for others, to plan a meal and deliver it, to be a blessing. Though we all may be very different, with different ethnic, financial and educational backgrounds, we are one in Christ. Every single time I start making significant strides in my spiritual life the enemy shows up, in all kinds of form. The great deceiver will throw a bone-chilling freeze into the mix in an effort to get our focus off God, make us stumble and stop us from growing. KEEP AN EYE OUT FOR SEVERE CONDITIONS. Whether it is challenging times, busy work or distractions which keeps us from reading God’s Word, praying and spending time with our family, we need to protect ourselves from frost. Excessive flattery conditions will make us think too much of ourselves and too little about God. Satan will do anything and use anyone to pull God's people from their divine appointment. Remember the devil comes to STEEL, KILL, AND DESTROY. He loves confusion, division and deceit. Don’t allow him to succeed. Open your eyes, free yourself from his minions and certainly do not allow him to use you to do his work. The enemy knows each one’s weakness and knows exactly what to test and temp you with. Guard the conditions around you, your home, and family. If unhealthy conditions continue you may even have to be open to transplanting yourself. Stay in prayer and let God have HIS way. Last but certainly not least…. Pruning. OUCH! It is a painful and ugly process but necessary to continue to grow and bear good fruit. The best time for pruning fig trees is after a fruitful season, so don’t be surprised if sometimes, somewhere, someplace, when you least expect it, SURPRISE! you feel the sting. Dead branches and tree suckers have to be cut off. The Great Gardener will many times be the one to prune us. Even though we may pray for everything to remain the same or for God to save you from the pain, God loves HIS people too much to lose us. 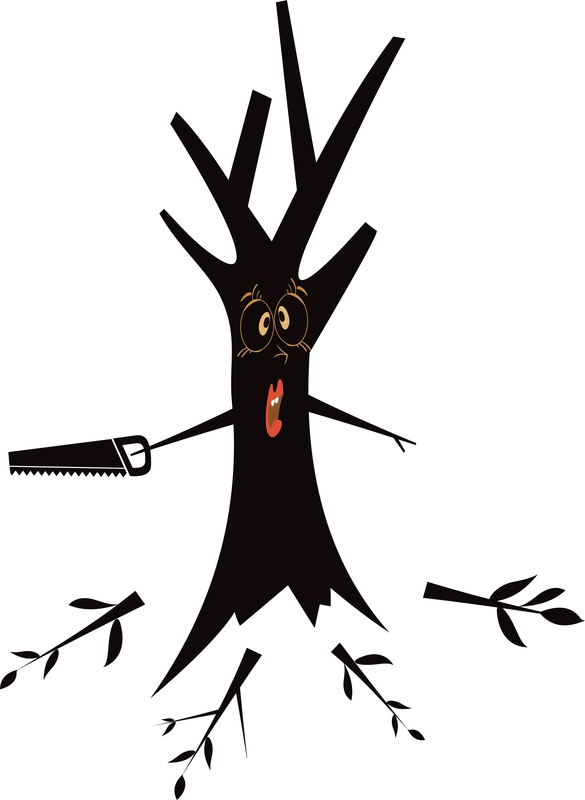 Many times pruning takes cutting off more than one branch. It involves cutting many things away, one right after another. But keep in mind during those painful transitions, that God severs not to punish us but to flourish us in due season. Believe me I have come to know this process all to well. After earnest prayer and fasting for God to change people and circumstances has seemed to go unanswered, I have pouted and wondered why I was the one being punished while others were left alone? Why was I feeling the sting from things and people being taken away? It took lots of spiritual counseling, prayer and time with God for me to realize and mainly admit, that unhealthy things were being pruned from my life. That I was going through a pruning season. It was a time for me to be still and know that HE is God. Other times, I have found that God wants HIS mature trees to prune themselves of things, actions or people which pull us away from HIS will, HIS glory and HIS ways. With whispers, heart tugs, emptiness, shame and pain, the Holy Spirit encourages us to discard things, we may desire, but which keep us from living an abundant, peaceful and productive life which God wants for us. This is hard! I know! Many times God will say to us, “CUT IT OUT! CUT IT OFF!” There have been times throughout my life, where HE has had to repeat it, several times and allow me to go through hurt feelings, stings and the shedding of many tears for me to pick up the shears. When we mature to the point where we can recognize, admit and then prune ourselves, God will always follow up with rich, fruitful blessings. God wants to give us HIS best! We will then go on to produce good fruit, have a fuller life and are closer to truly knowing the difference between good and evil.